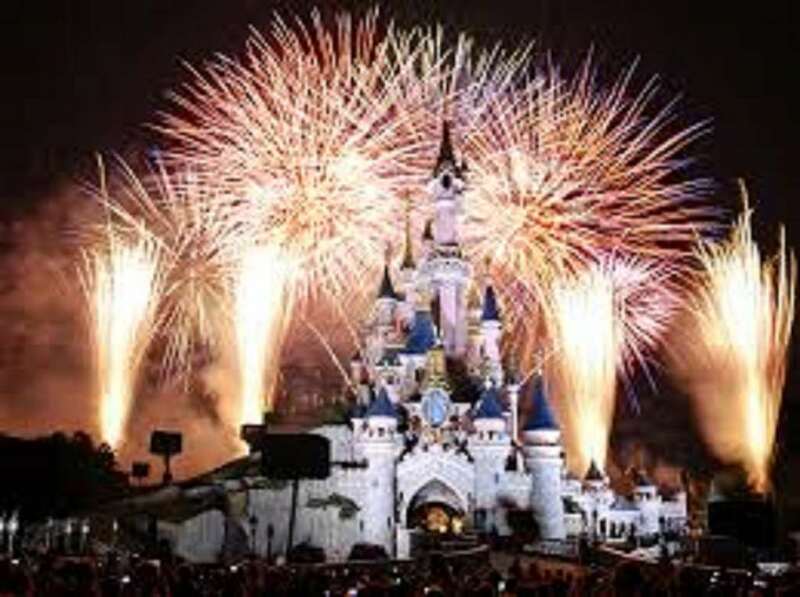 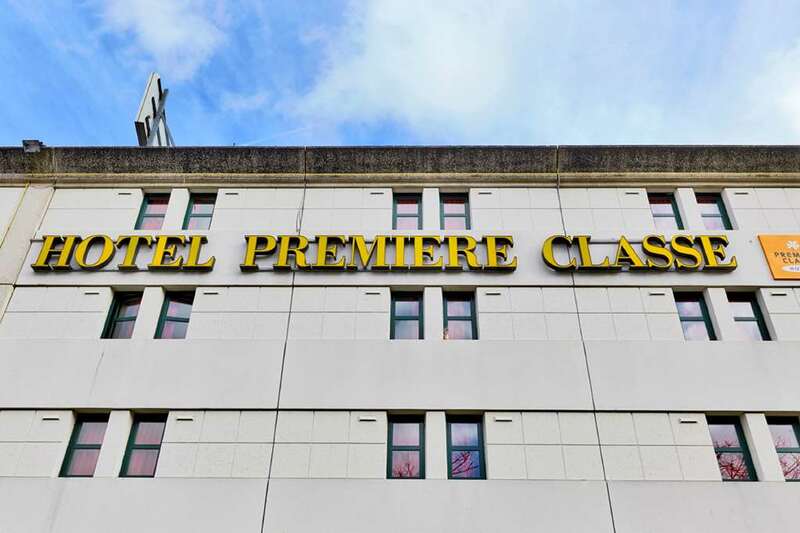 Stay at Hotel Première Classe Marne-la-Vallée – Saint-Thibault-des-Vignes to visit Disneyland or Paris: We offer comfortable rooms at reasonable prices. 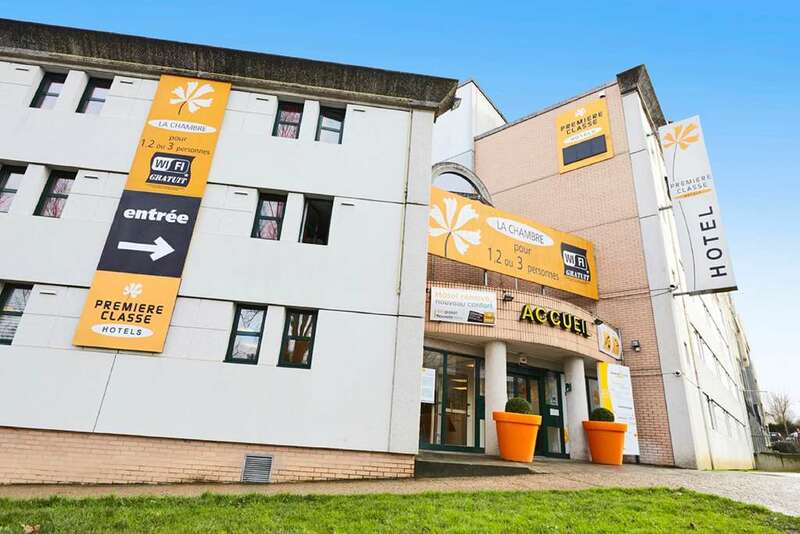 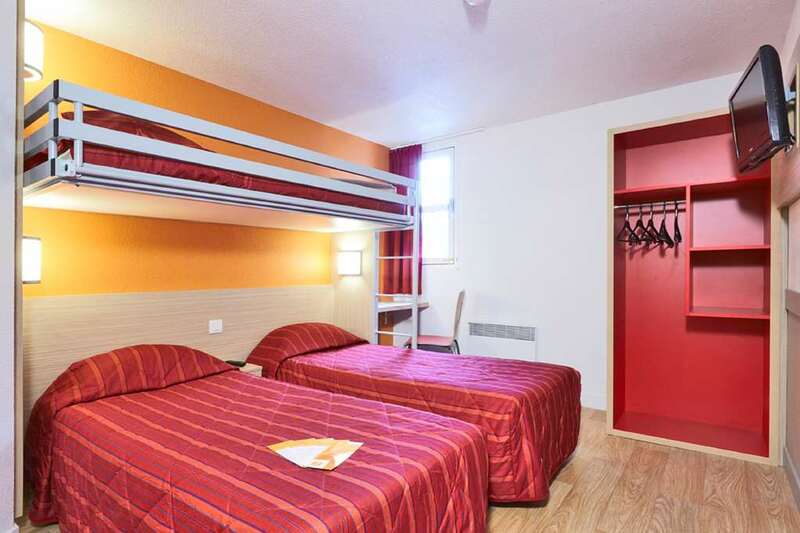 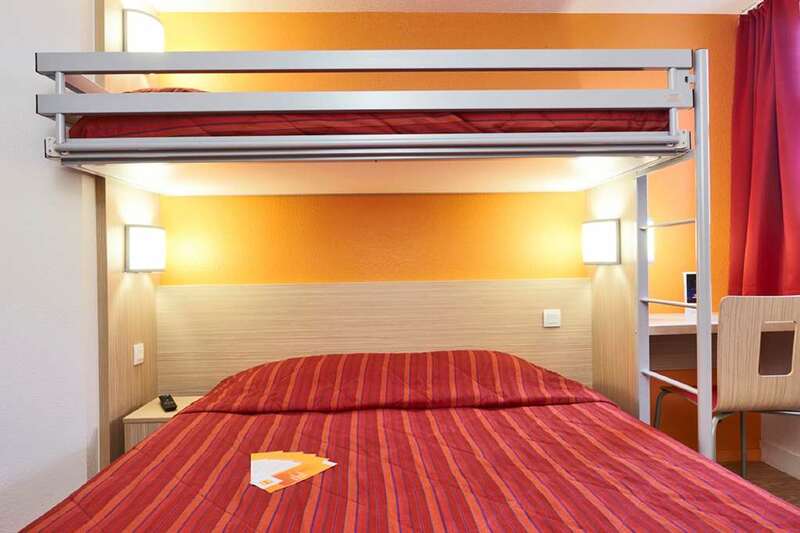 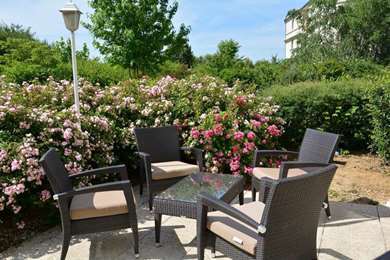 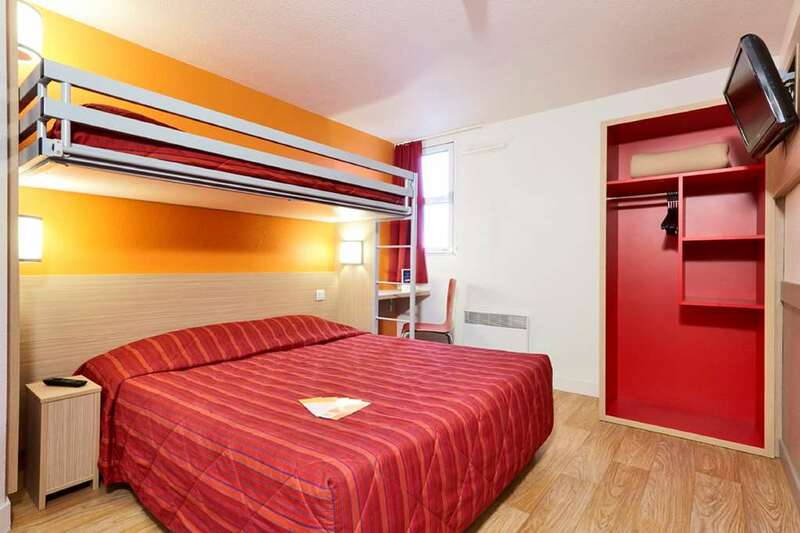 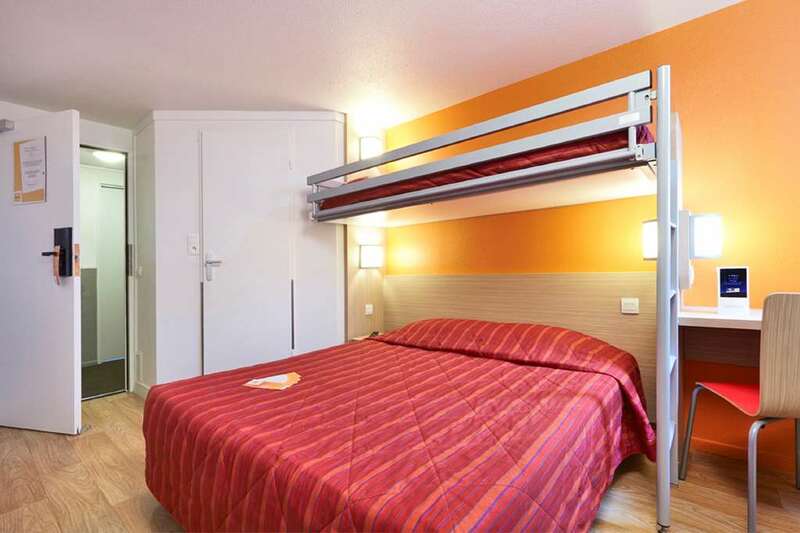 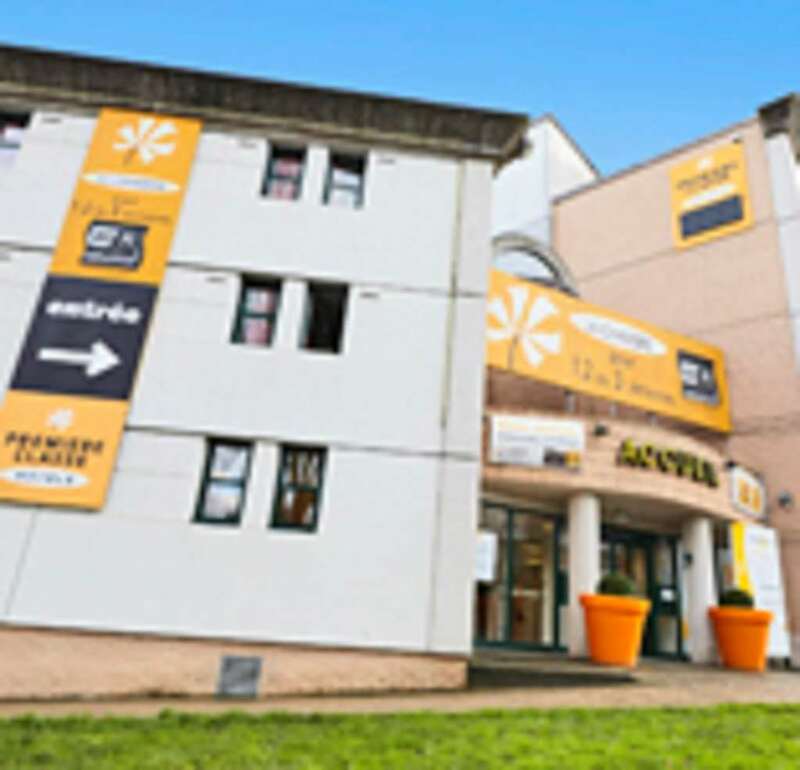 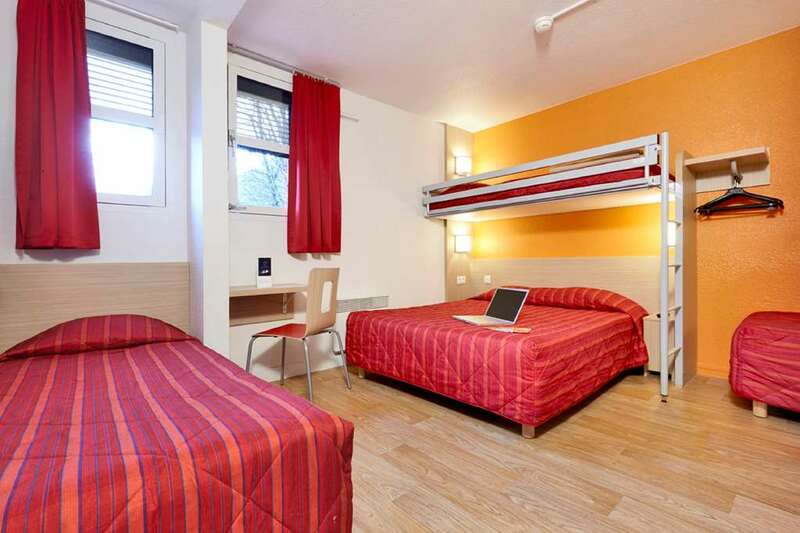 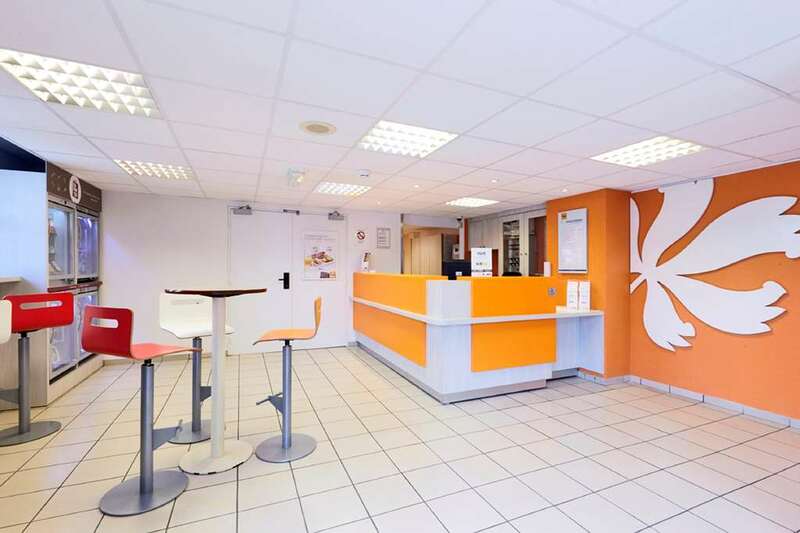 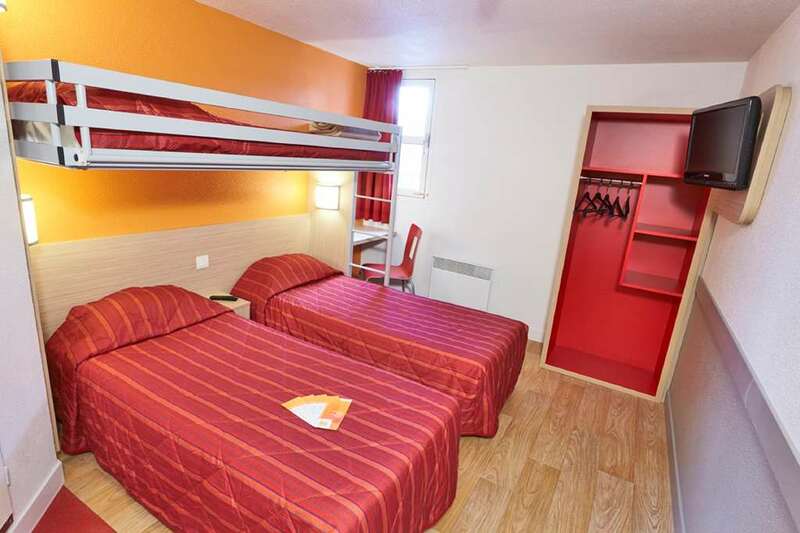 Are you looking for an affordable hotel at Saint-Thibault-des-Vignes? 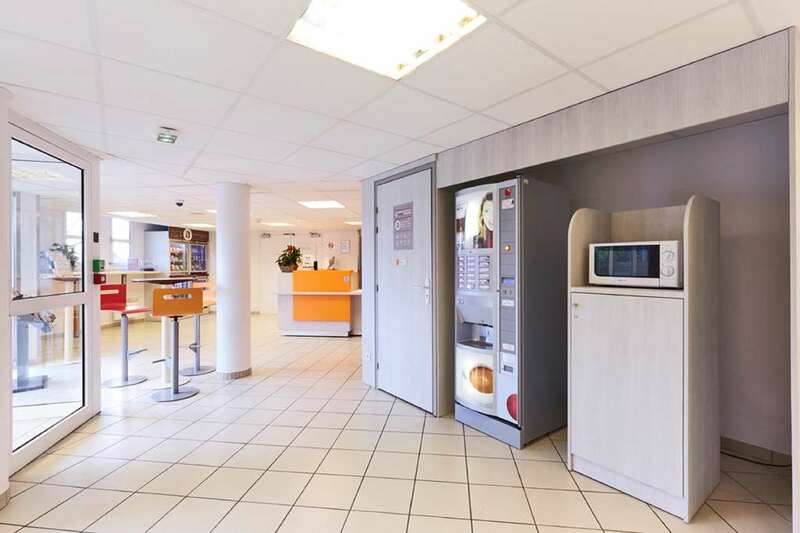 Come to our 1-star hotel, Première Classe Marne-la-Vallée – Saint-Thibault-des-Vignes. 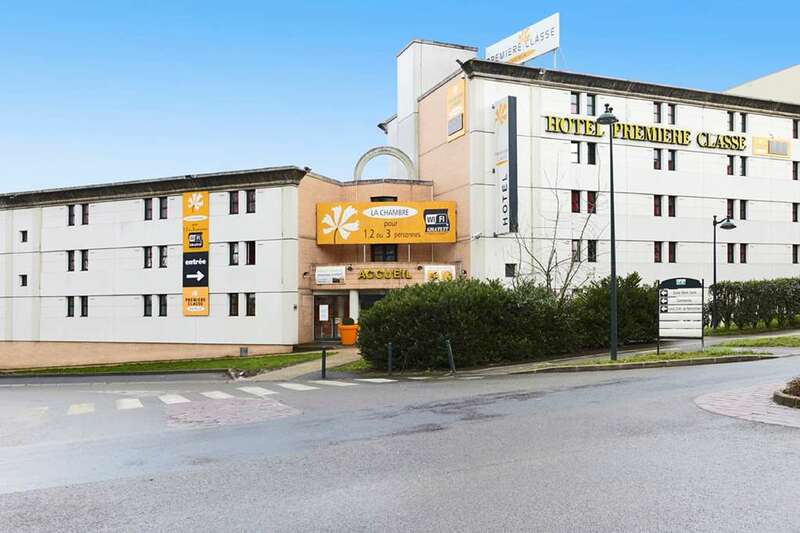 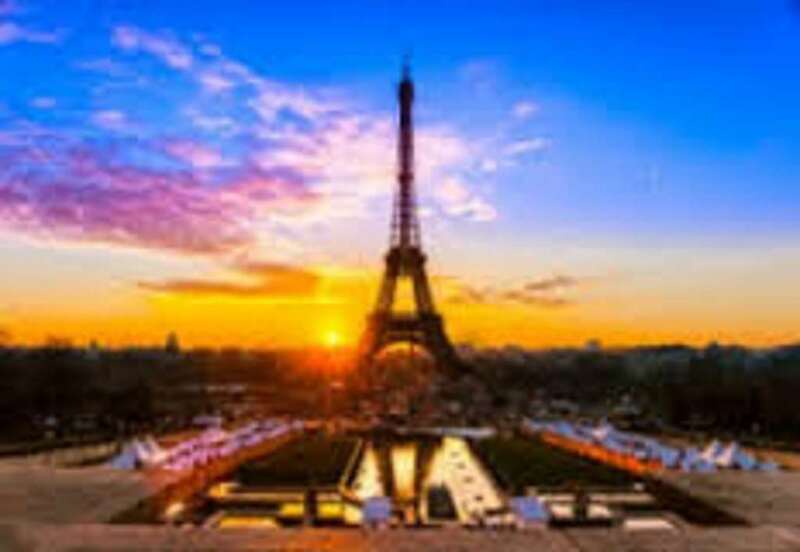 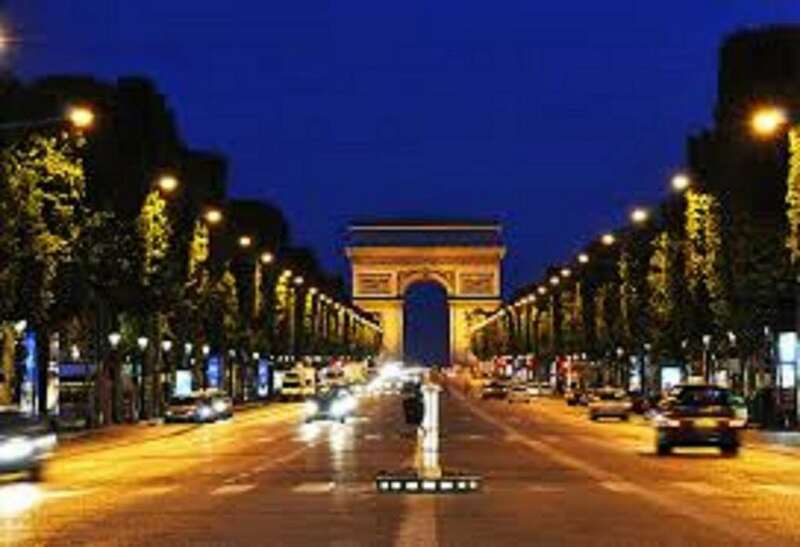 Our hotel is located 15 minutes from Disneyland Marne-la-Vallée, less than an hour from Parc Astérix, near Roissy-Charles de Gaulle Airport and only 20 minutes from Paris. 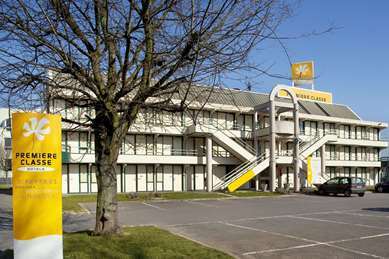 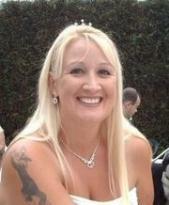 We are easily accessible by Highway A4 via A104 or Highway A1. 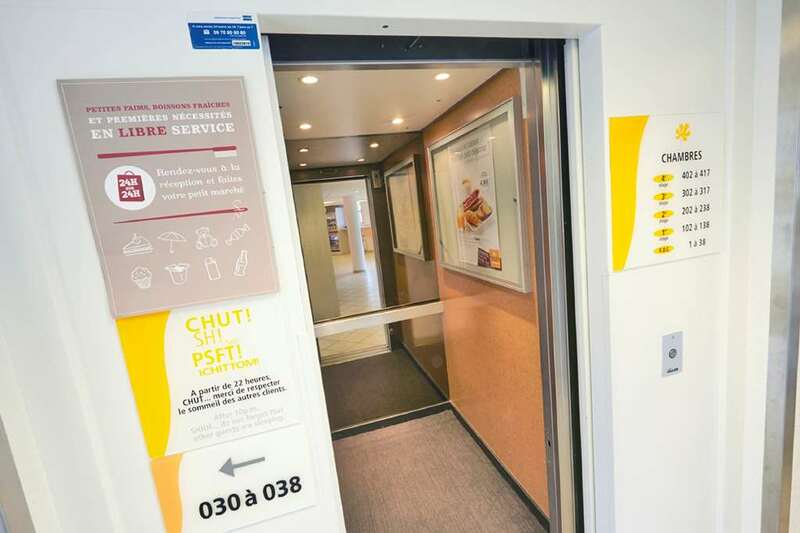 We are also served by the RER A train line. 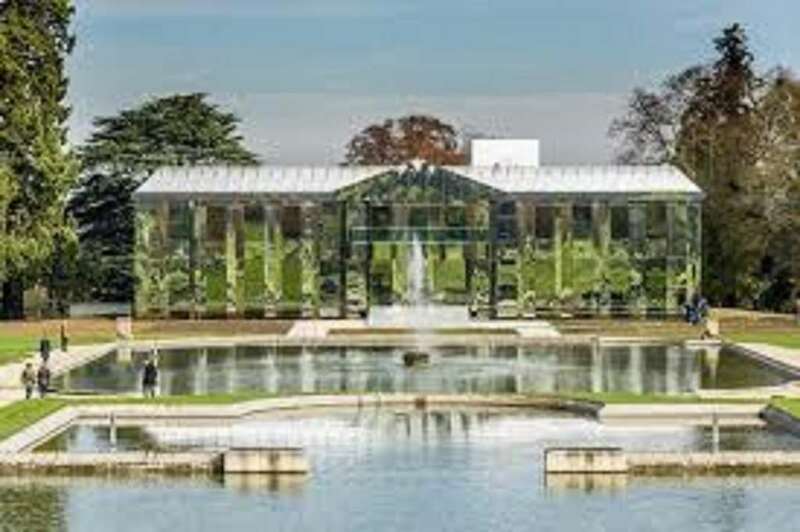 Established on the Marne and Gondoire tourist site, we are 5 minutes from Parc Culturel de Rentilly, with its château and 3 landscaped areas comprising 1,333 acres. 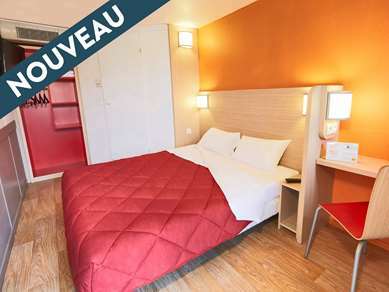 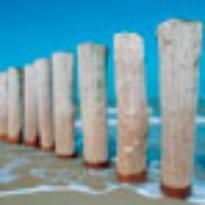 Check out our special offers to find the best promotion for your hotel stay. 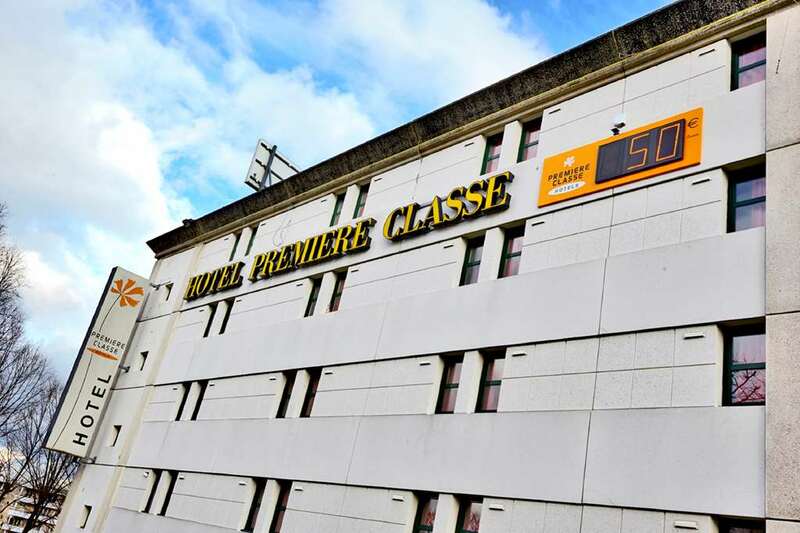 Tip: Première Classe is accessible on your smartphone with the HotelForYou app that you can use to reserve your budget hotel from your iPhone or Android device. 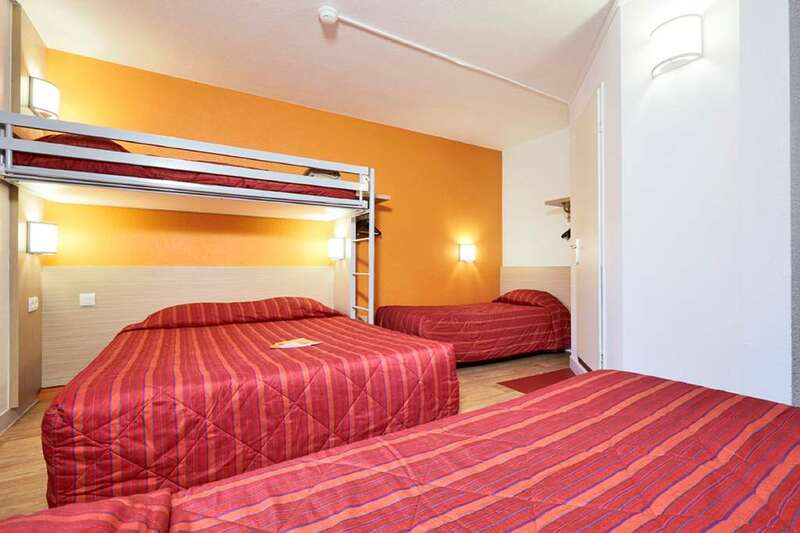 We offer 121 triple rooms available for reservation, including 75 rooms with 3 individual beds, comprised of one bunk bed and 1 single bed, and 46 rooms equipped with a single bunk over a double bed. 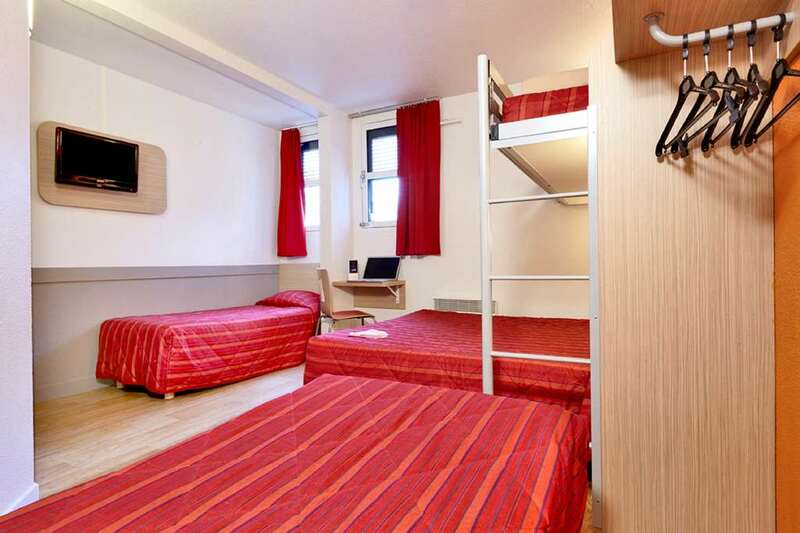 Our hotel has 4 ground floor rooms that are specially equipped for people with reduced mobility. 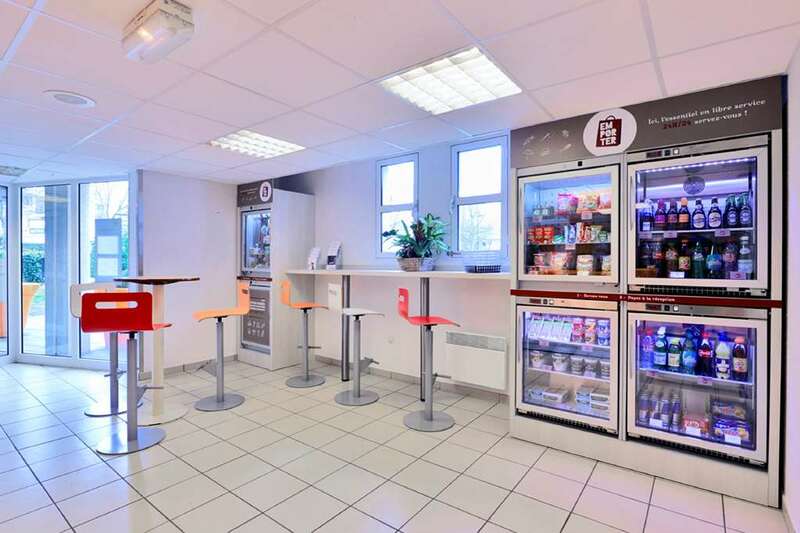 All rooms at your hotel in Saint-Thibault-des-Vignes offer you the most comfortable conditions for a pleasant and productive stay. 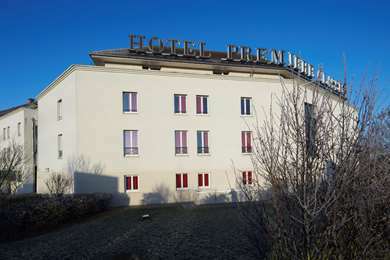 At Hotel Première Classe Marne-la-Vallée – Saint-Thibault-des-Vignes, all rooms have a private bathroom with shower and toilet, a desk, TV and free Wi-Fi. 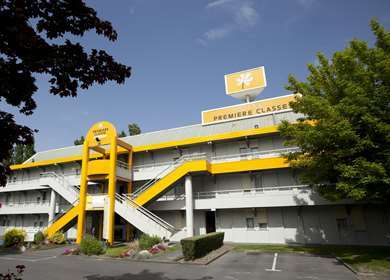 We are open 24/7 and have an elevator for easy access to our affordable rooms. 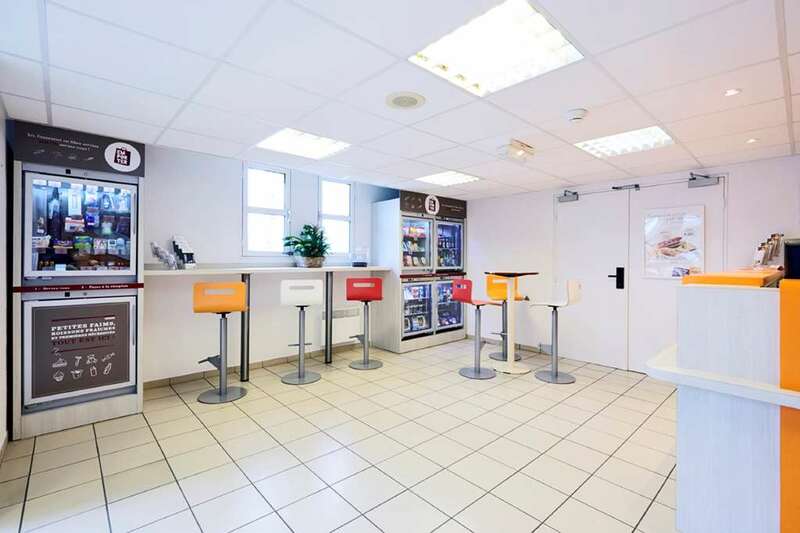 A lounge is available at any time, offering hot or cold drinks and a microwave oven to heat up your meals and drinks. 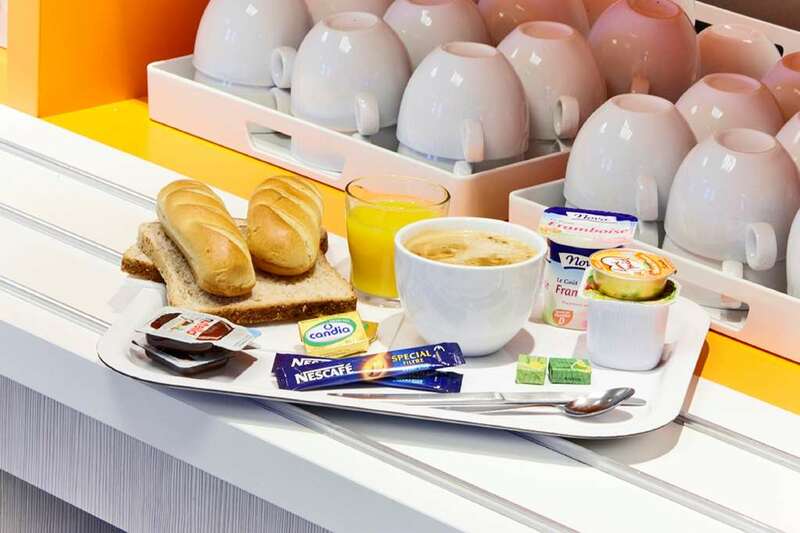 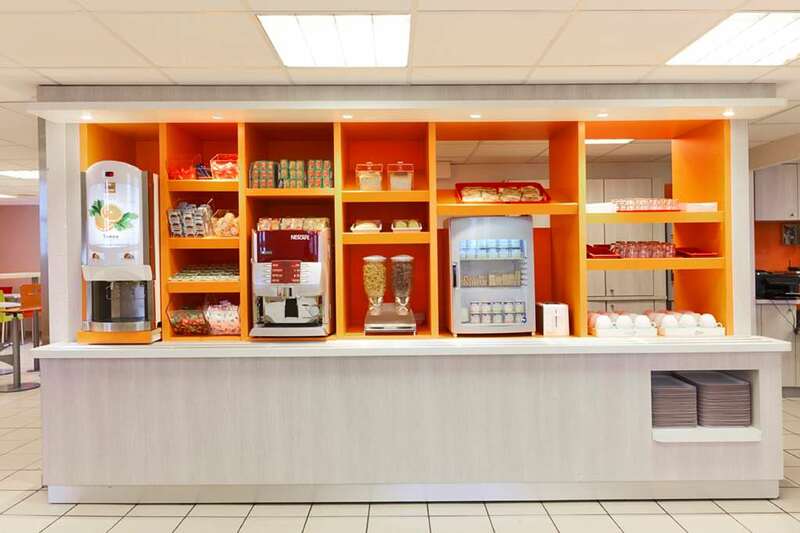 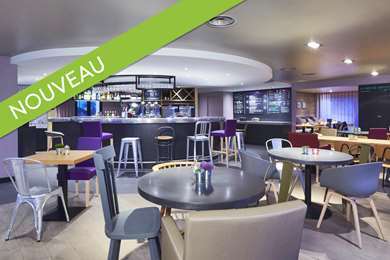 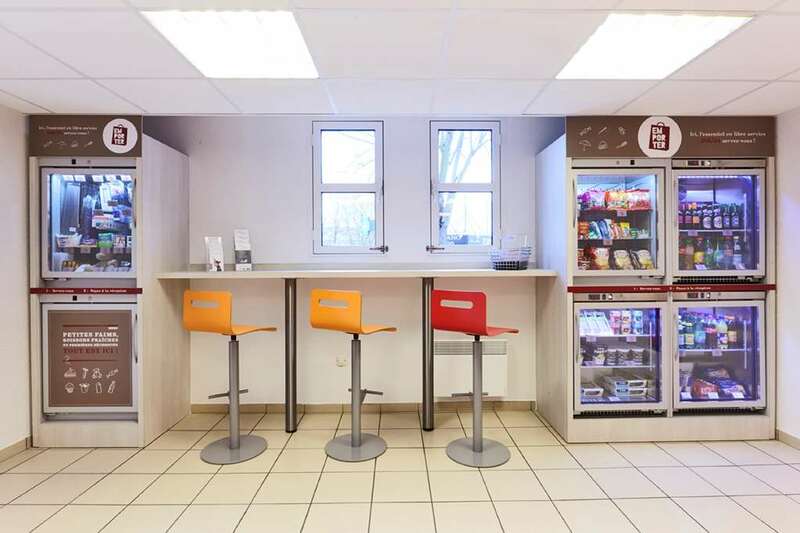 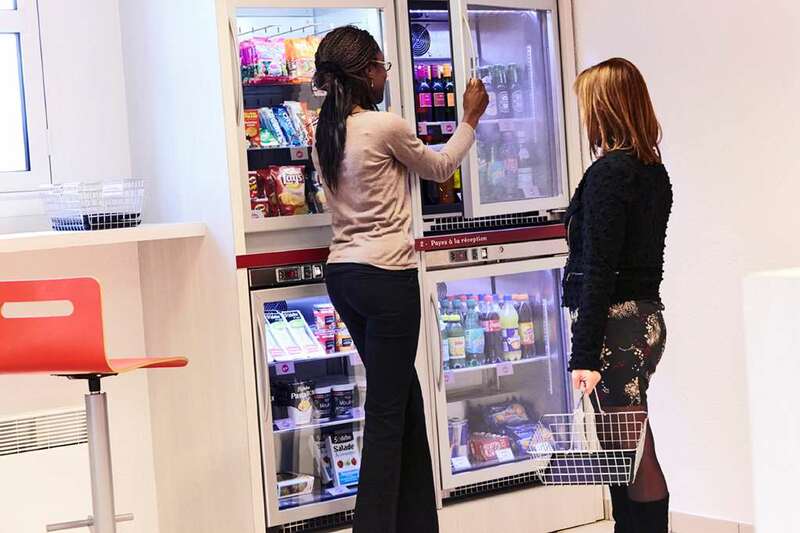 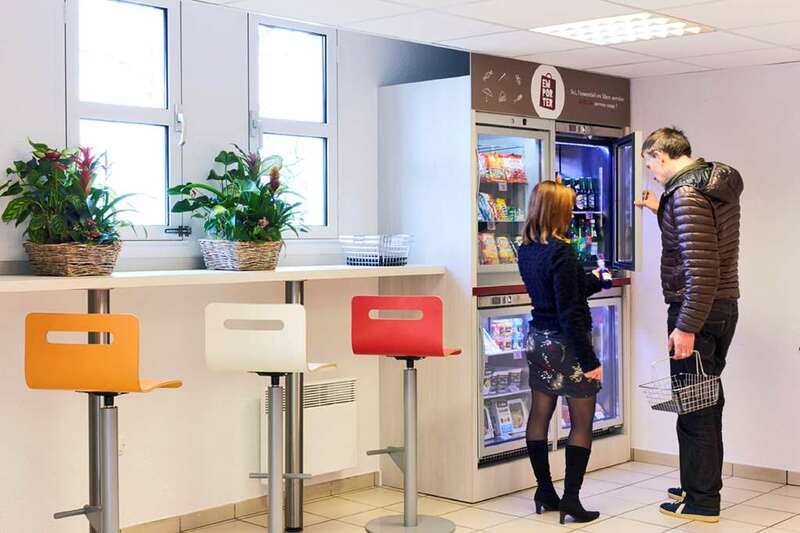 For just €5.90, fill up on energy with the all-you-can-eat breakfast buffet at Hotel Première Classe Marne-la-Vallée – Saint-Thibault-des-Vignes. 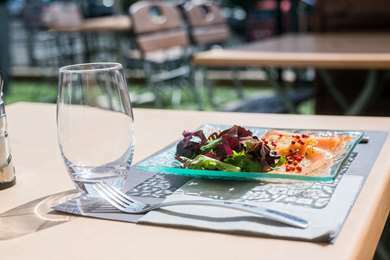 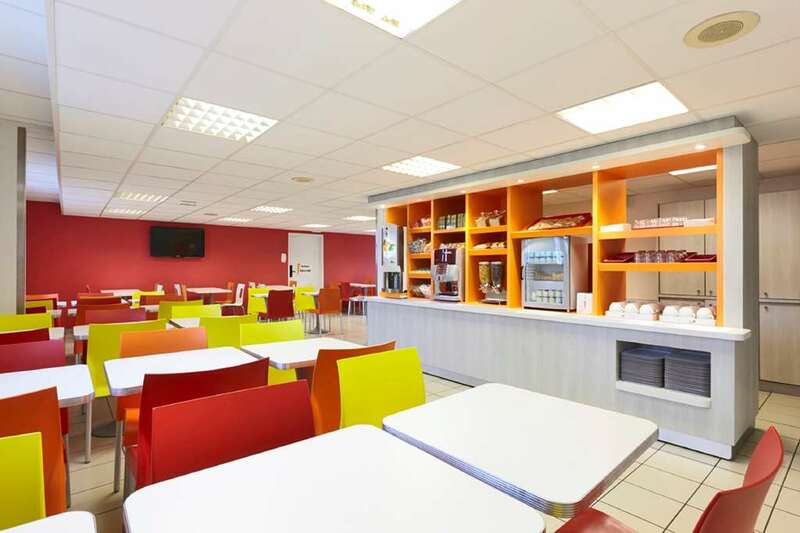 For lunch or dinner, our hotel at Saint-Thibault-des-Vignes is near Highway A4, giving you easy access to a wide choice of restaurants nearby. 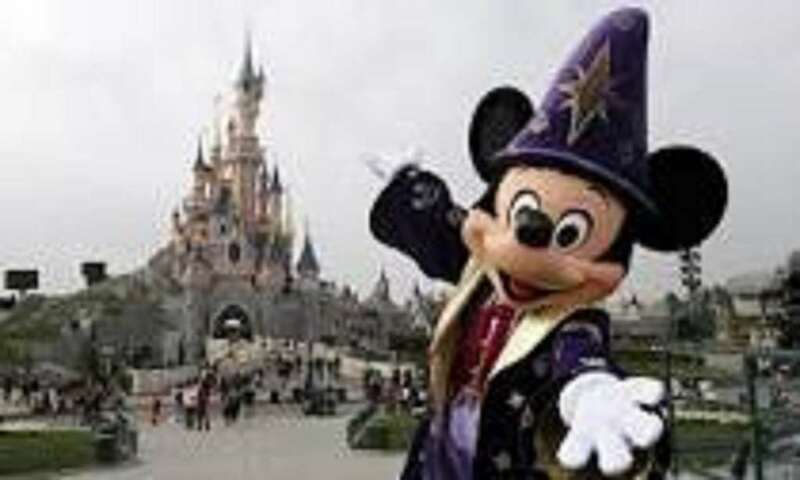 "Cheap and cheerful for Disneyland. "